Many people have reported Flash Player is not working on Chrome, and they can’t play videos, animations and games on Chrome. This is frustrating. But don’t worry. This is a common issue and you can fix Flash not working on Chrome quickly and easily with this post. Why is Flash Player not working? It’s possible that Flash Player has been disabled in your computer, or in your Chrome browser, and the current website that is giving this problem blocks Flash Player from running. Sometimes the graphics card issue can also cause your problem. 1) Go to Chrome Settings > Advanced > Content settings. 3) Ensure that Ask first (recommended) is toggled to On. 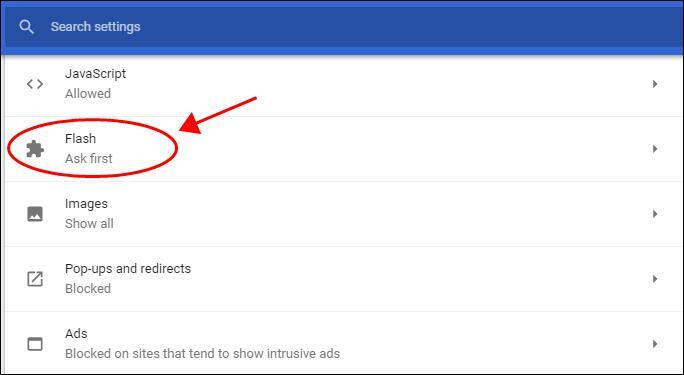 4) On the same screen, ensure that the website is not in the Block list. If it is, remove it from the Block list. Restart your Chrome browser and try again to see if Flash works. 1) Open the website in which Flash Player is not working. 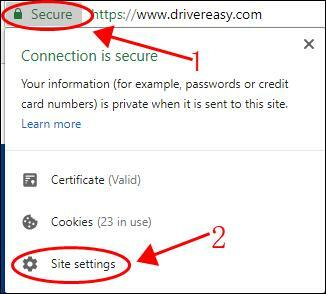 2) Click to view site information, then click Site settings. 3) Find Flash in the list, and select Allow. Restart your browser and open the website again to see if Flash Player works. 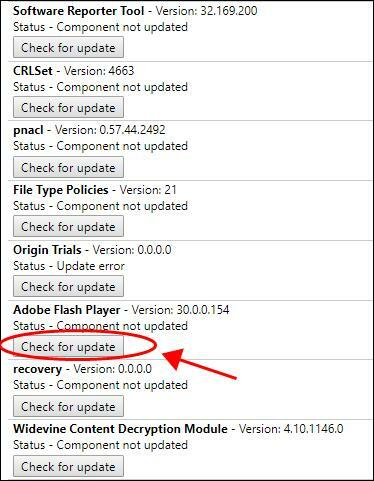 The outdated Chrome or Flash Player can also cause the Flash not working problem, so you should check for updates and keep them up to date. 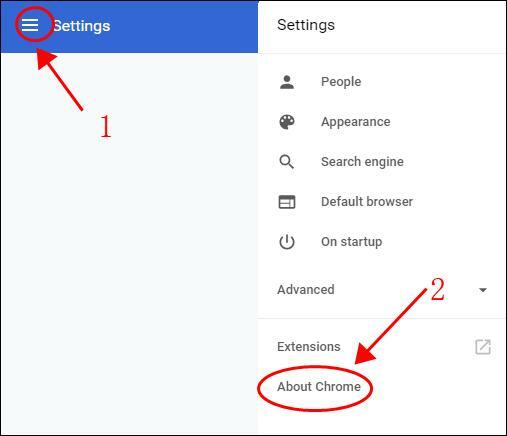 1) Click the Settings button in your Chrome to launch the Settings page. 2) Click the menu button on the left, and select About Chrome. 3) Check if your Chrome is up to date, and update it if there’s new version available. 1) Copy and paste this URL in your Chrome browser address bar: chrome://components/, and press the Enter key on your keyboard. 2) You’ll see the components installed in your Chrome browser, and Check for update in Adobe Flash Player. 3) You should be able to update if there’s any update available. Close your browser and open it again, then try Flash Player to see if it starts working. A missing or outdated graphics card driver will lead to Flash Player stops working on Chrome, so you should keep your graphics card driver up to date. 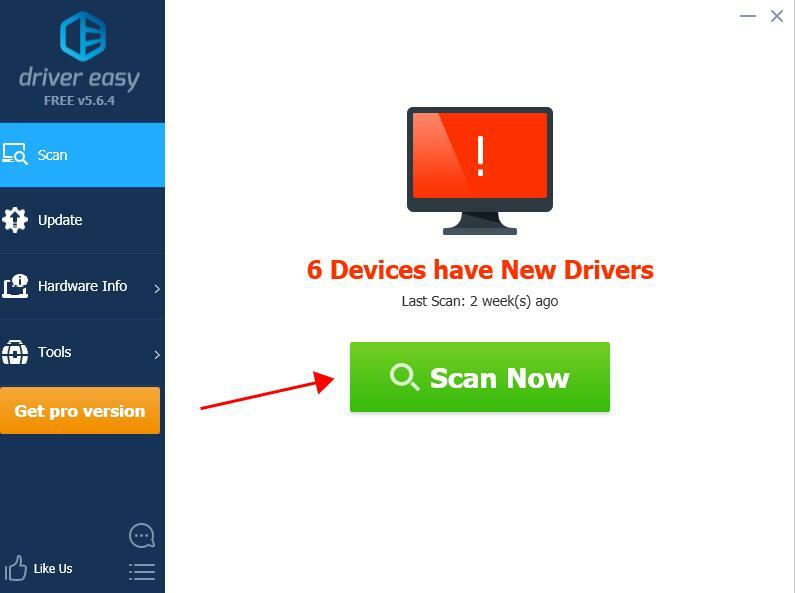 Manually update the driver: you can go the manufacturer’s website of your graphics card, find the latest driver that is compatible with your operating system, then download and install it in your computer. This requires time and computer skills. 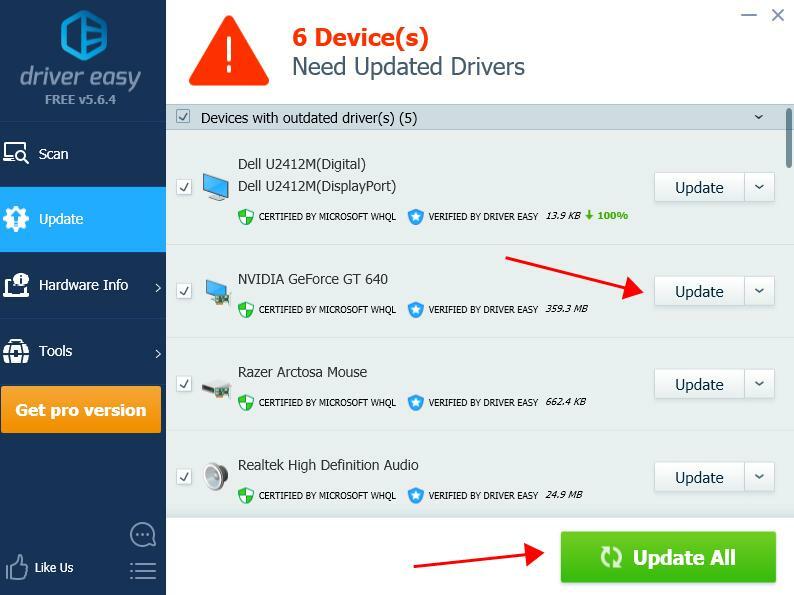 3) Click the Update button next to the flagged graphics card to automatically download the correct version of the driver (you can do this with the FREE version), then install the driver in your computer. Try using Flash Player on Chrome to see if the issue has been fixed. This should fix your problem. If the problem still persists, don’t worry. You can try other solutions. 1) Open Chrome in your computer, then go to this page. 2) Select your operating system (in my case I select Windows 10/Windows 8), and choose FP 30 Opera and Chromium – PPAPI. 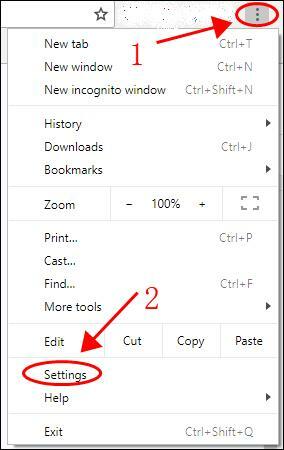 4) Double click the downloaded file and install it in your computer. Restart your computer and try Flash Player again to see if it works on Chrome. You can also try clearing your browser cache to fix the Flash Player not working issue. 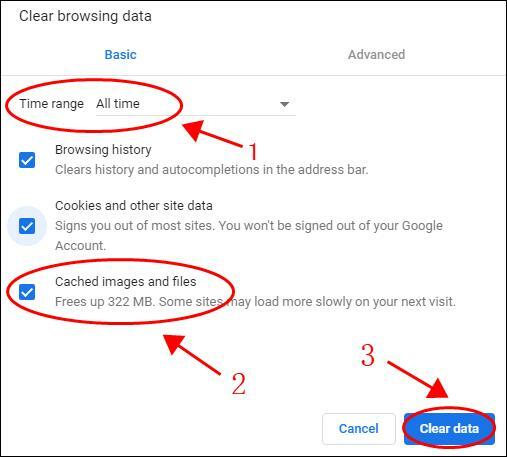 1) Go to the Chrome Settings > Advanced > Clear browsing data. 2) In the Basic tab, select All time for the Time range, and ensure to check the box next to Cached images and files, then click Clear data. 3) Restart your browser and try playing videos or animations to see if it works. So there you have it – the six effective solutions to fix Flash Player not working on Chrome. You’re welcome to share with us which method helps you out. If you have any questions, feel free to leave a comment below and we’ll do our best to help.